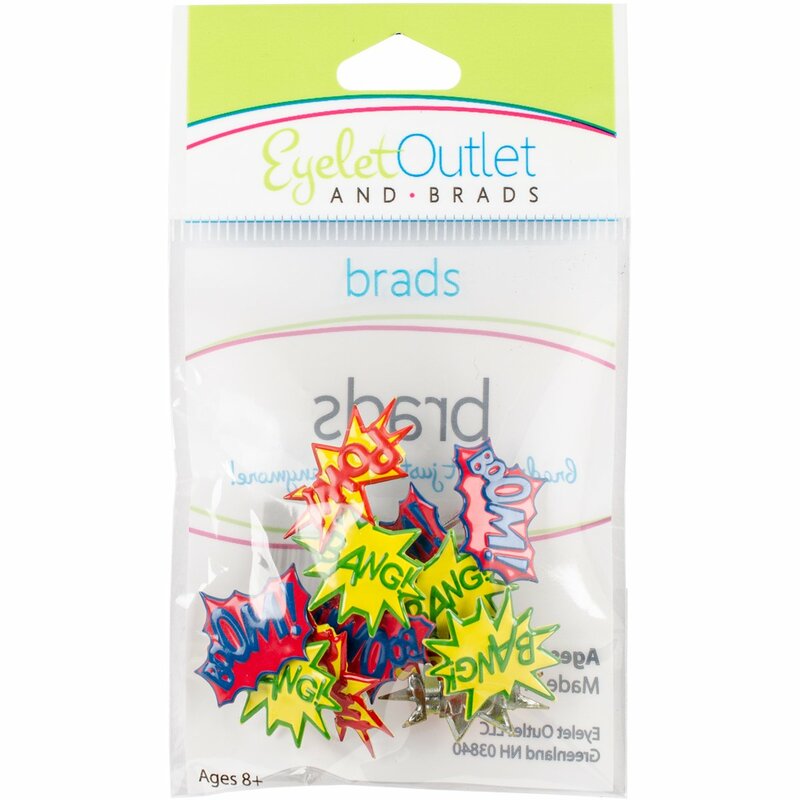 Eyelet Outlet offers fun and colorful brads in all kinds of shapes and themes, finding the perfect match for your project or design style is sure to be a breeze! Each package contains twelve brads. Exact size varies by design. Imported.